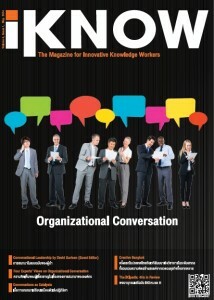 Hi Keith, I would like to know if it possible to measure the effective communication in the organisations? Is there any reliable questionnaire for measuring the effective communication in the organisations? how many organisations are aware about this matter? which their communication impacts on their performance or innovation. The approach that I have used is to ensure that a wide range of measurement techniques is used. There is no single questionnaire – the best approach is to combine both quantitative and qualitative measurements and look at the overall picture. Use both direct and indirect measurement – for instance, if a communication program was aimed at boosting sales of a specific product, measure sales both before and after the program. I can deliver a workshop on this topic, and it is included in my presentations on the KM Toolkit – see this post for an overview with a slide pack. For a different view of this, have a read of The Ivory Tower, and see the last section on measurement. There is also more specific detail in Chapter 5 of the KnowHow Case Study.